The booster pump is driven by air to output hydraulic pressure. As power source for hydraulic cylinder, its flow rate is bigger than that of a conventional booster. Continuous pressure boosting and no limitation of booster stroke for the acting cylinder. Pressure adjustment is made by an air pressure regulation valve. Once pressure reaches the desired valve, drive stops immediately. 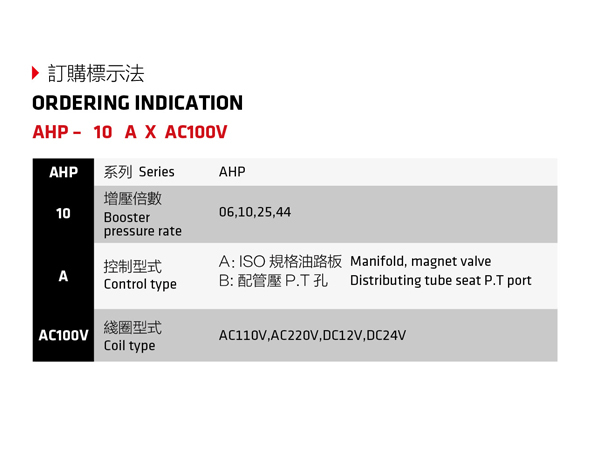 In case pressure drops, the pump will compensate pressure automatically. The series is especially ideal for longtime hydraulic clamping application. Also features energy saying no oil temperature growth., economical and convenient. 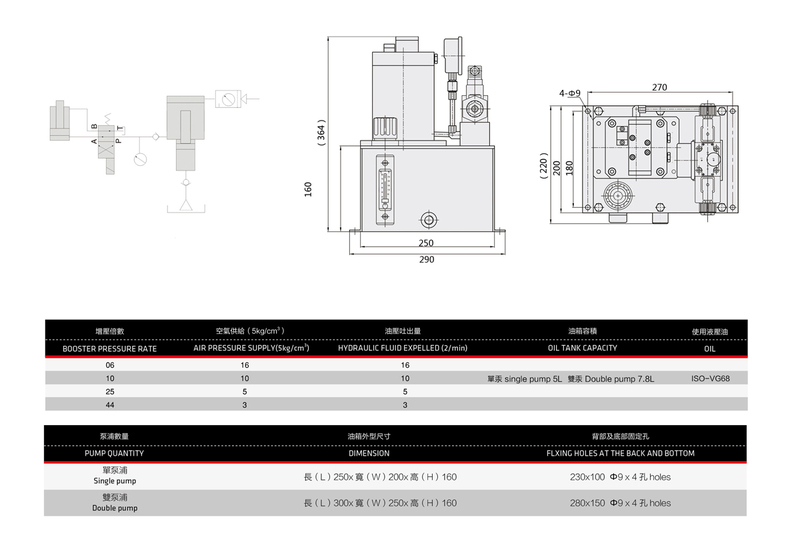 A type: Equipped with ISO approved manifold and solenoid valve, Applicable for single acting or double acting hydraulic cylinder. 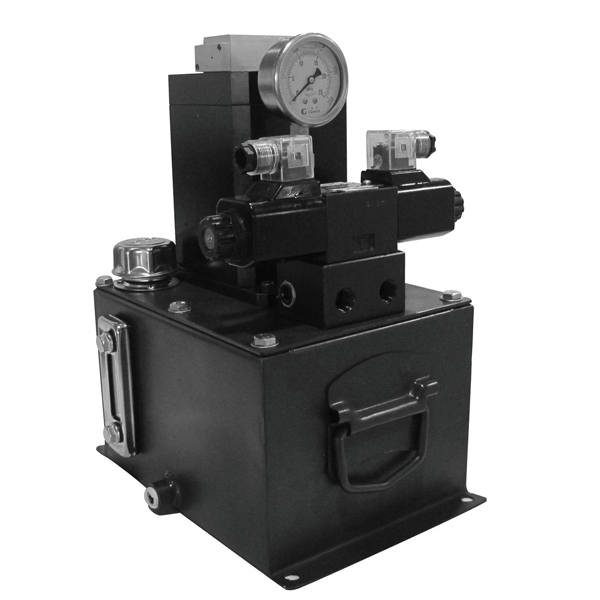 B type: Equipped with pipe block with P.T ports, permitting for connecting to a manual control valve for operation control. When double-pump is applied, you can select the boost pressure ratio. It is especially suitable for jig and fixture which requires high and low pressure operation together. Reduced oil tank volume for space saving and convenient installation.